Imagine being able to identify the obstacles that are preventing you from doing the creative work you want to do in the world. Now, think about how it would feel to radically change those obstacles not only for yourself but for many of your friends and colleagues at the same time. This revolutionary change would happen because you put in the time, energy, and inventive thinking not in one burst of productivity but rather in everyday choices to break down barriers between art, artists, and audiences. This is exactly what Michael Gordon, Julia Wolfe, and David Lang have done with Bang on a Can. 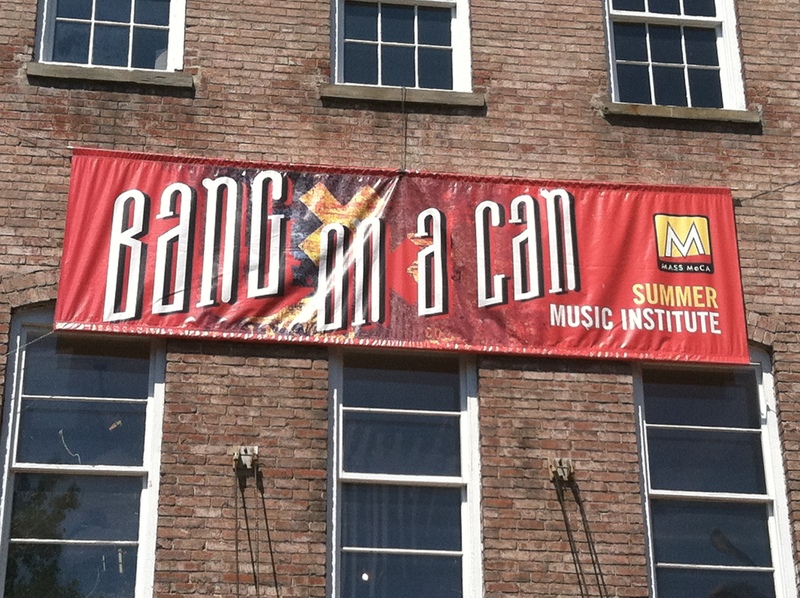 As many of you who took the time to read my Dispatches from Bang on a Can this summer know, I feel extremely lucky to have had the opportunity to attend the summer festival at the provocative MASS MoCA. I remember talking with Nicholas Photinos, cellist – eighth blackbird, the summer before at Music11 in Blonay, Switzerland when he asked, “Have you ever thought of applying to Bang on a Can? I think you would do really well there.” I cannot possibly thank Nick enough for his encouragement because the Bang on a Can festival was a career/life-changer. I hope that each of you are encouraged the way the faculty of Bang has encouraged me. It is also my sincere wish that everyone has an experience like in which you get to spend your days on the exact creative output you are striving for the rest of the year. There are nearly 400 alumni of the summer festival challenging and revolutionizing the world of new music because of their commitment to the craft and excitement about the possibilities. They are throwing one hell of a party tomorrow night in New York City to support the work of the festival and keep tuition to a minimum. I hope you will consider attending and pitching in a few of your hard-earned dollars to keep the new music world vibrant. The alums of the festival have created ensembles, touring groups, music education opportunities, collaborations, and more. I cannot think of a group of musical entrepreneurs that would do better by your money.